Eleven consecutive years in the playoff since their return to the varsity fold has given the program the momentum and maturity needed to take the program to their goal of being a U Sports national contender each and every year. The men’s hockey team has had more than 27 players win OUA All Stars and other major awards such as Brett Welychka being named CIS Rookie of the Year in 2016. Head Coach Shaun Van Allen and his staff have created a culture of high performance in the program – focusing on commitment, hard work and discipline, which has resulted in the rise of the program to national prominence. Our hockey alumni, the Bald Ravens, were thrilled to see the return of the program in 2007-08 season. 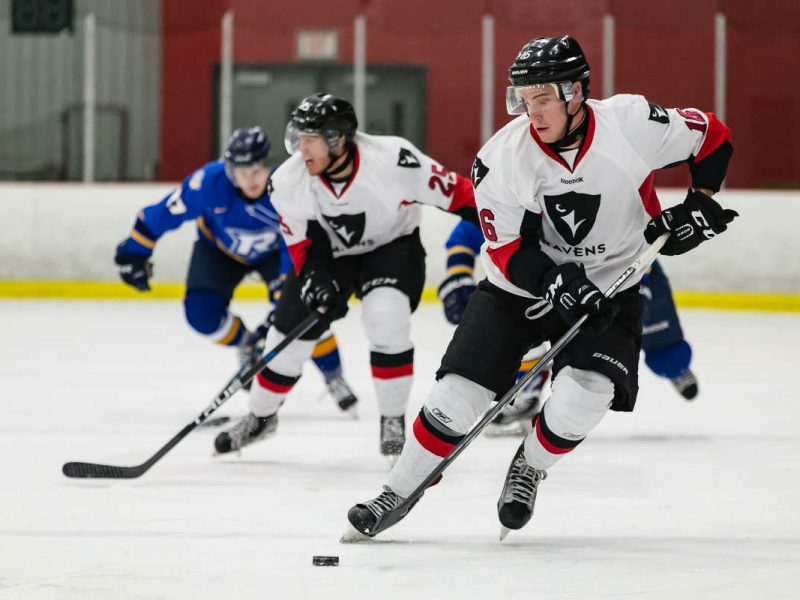 Our Bald Raven hockey alumni chapter has continued to work diligently to take the program to the next level through game activities and fundraising. The Ravens are asking for your support to keep their momentum going towards winning their first U Sports National title. A gift to the Men’s Hockey Excellence Fund, provides opportunities for our hockey athletes to develop and excel at hockey through exceptional experiences. A gift to the Excellence Fund is the most direct way a supporter of the program can help our players reach their potential. Giving Tuesday – your gift to the Men’s Hockey Excellence Fund on Giving Tuesday, November 27th, will be matched by the University so please consider making your online gift on that day. Coach Shaun Van Allen and his staff feel the program continues in the right direction and is on the cusp of becoming one of the elite programs in CIS hockey. To get there, Coach Van Allen has identified key funding areas that will allow the program to continue to attract and retain the top players and help each student-athlete reach his potential through a well-resourced, supportive environment. These areas of need include: supporting a full-time assistant coach position, international travel & training camps, per diem top up on road trips and paying for tutors.